Getting an accurate project estimate can feel like the toughest challenge in the construction process — and that's before you even get started. Estimate too high and the bid may go to someone else. Get the estimate too low, win the bid and you'll wish it went to someone else! These 13 tips should be your go-to reference to help you get the accurate estimates you need. Read or print all the details here or download the infographic. You can’t bid what you don’t know. The care required in this step of the process can’t be underestimated (pun intended). It’s similar to hitting a golf ball a fraction of an inch off the sweet spot. When the ball is hit the missed distance is fractional... but when the ball lands it can be yards away from the target. Consider the various components of the project, the amount of hours each phase will take, all the materials required, each subcontractor to perform the labor, and anything else that will be needed to complete the job. Now you can break down the project and consider the cost of each individual part. While unit cost estimating can be a faster way of estimating cost, it is not the most accurate option. Estimating based on unit cost or order of magnitude per square foot can be a bad choice for accurate estimating due to the many variables specific to your project. Use these guides for ballpark estimates only. Start by making a list of all the items needed for the job. Identify each piece of assembly required to complete the job and attach a unit cost to them. The sum of all the unit costs will help you reach an accurate estimate. Plan organization is important to make sure the project stays on track and is completed fully. It’s easy to forget things like permits, landscaping, hardscaping, etc. Use a master checklist to make sure you don’t forget necessary steps and items. The folks at buildingadvisor.com.com have a free worksheet that includes formulas to help you in your estimating process. Also consider using professional construction bidding software. The advantage of having all the information in one place, being able to track costs, and the reduction in errors is well worth the investment. It’s easy to be detailed on the portions of the project where you have the most experience, but it’s your own gray areas that will come back and bite you with cost overruns. Be sure to utilize your expertise on the areas you know well. At the same time, be even more meticulous on areas you aren't familiar with. Don’t hesitate to call specific subcontractors or consultants to help out on areas that require another set of eyes. Specialty labor, or craftsmen, must include normal wages and benefits, but must also factor in federal and state payroll costs. Be sure to take all this into account when establishing their hourly rate. Once you have the rate established, build out the additional members of the specialty crew and determine a crew rate. Consider how many employees you will need to bring into this project. At the hourly rate, determine what it will cost for those workers. When you start the estimating process, you have to consider what could possibly go wrong during construction. Consider potential mishaps and factor them into the cost and timeline of the project. It is not easy to predict the future, but you can look back on old projects and try to find commonalities to determine what risks may take place. Start by looking at your previous projects and what unknowns at estimation time became margin killers during the project. Use this knowledge as a guide when creating estimates for future projects. This is an area where cost estimating software can help you immensely. You know material prices change, so pay close attention to factors that can affect pricing when estimating costs. Is demand high for a specific material or product? Do you have specific delivery challenges? Is the product or material custom? Do you need the product or material faster than the manufacturer’s normal turnaround time? Are there seasonal limitations that dictate logistics and adjustments to price? It is also key to understand material availability and any potential scheduling delays that will have cost implications if you don't order the materials on time. If products will have a long lead time, consider that when bidding and know you'll need to plan accordingly during construction. Similarly, are there products specified on the project you're not familiar with? Perhaps the architect has selected prefabricated components or modular products. Understanding how these products are installed and the labor needed (or not needed if certain components are prefabricated) could have cost and schedule implications you'll want to factor into your bid. What portions of your project are contributing the highest percentage of overall project costs? Spend your time in these areas, ensuring precise definition of the scope, tasks, labor and materials needs. Make the process as seamless as possible to avoid excess cost due to mishaps. It may help to consider if there are ways to cut costs on these portions without compromising the quality of the project. 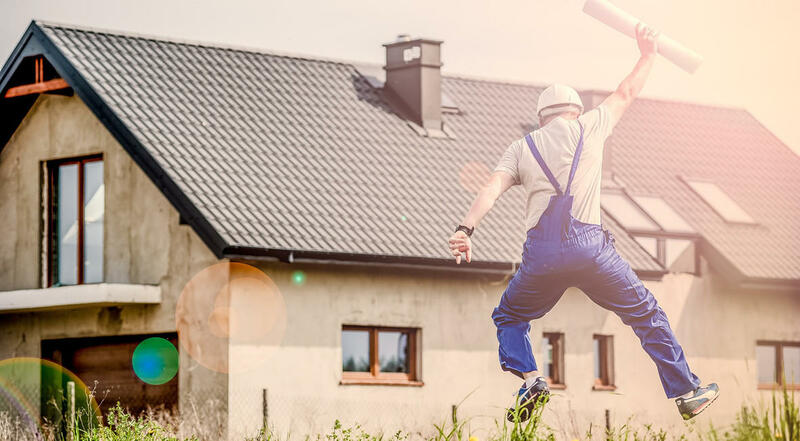 Whether you’re an owner or a general contractor, there are costs related to your project that fall outside of direct labor and material costs. Be sure to account for these costs in your estimation. After planning the project in full, determine what equipment is needed to complete it. Consider the details of the equipment beforehand, such as what type and size, and make sure you have the equipment capacity that is matched to your project. Also verify that equipment that is interfacing with other equipment is the correct size, offers the appropriate capabilities and is not redundant. Having the proper equipment will ensure the job is done efficiently. When creating your project estimate, take time to consider whether is it more cost effective to rent or use your own equipment and small tools. This is especially true if the project will require tools you don't already own. Go through the same steps in evaluating potential subcontractors’ quotes as you do evaluating your own quotes, outlined in this post. Always compare more than one subcontractor for each specific scope of work on a labor and material basis. Getting apples to apples comparisons are critical in covering or uncovering any pitfalls. When considering which contractors to go with, never accept a cost-plus bid. Find a subcontractor who will provide you a firm estimate based on project scope. How can you know what jobs have the highest chances of success? If you don’t keep records of your bids and their outcomes, you can't. Start keeping track now if you aren't already. Be able to determine when a job is worth bidding on and when it is time to move on. It is not worth spending money on something if it doesn't have a high chance of success. If a certain competitor is consistently underbidding you in your market and they are bidding against you on this project, you might consider withdrawing. If you can’t be profitable at their bid level, don’t waste your time bidding! For the best outcome, involve the material supplier early during planning. This will yield collaboration that will be essential come bid and construction time. By working together early, suppliers can act as advisors and help find products that will not only meet the projects design goals, but also maximize budget and be efficient during construction. Having the right materials for the right job is critical to both your and your supplier's success. Reach out to your material supplier for guidance. The right advisor can give insight into what materials would be good for your project, which ones perform well together and what is best within your budget. Make sure the supplier has a clear understanding of how you want the project to be completed. Be open and transparent with your vision to ensure they are on the same page. If they are on board with your vision, their recommendations will hold more ground in the project. Your success starts with accurate project estimates, but depends on solid execution. To help you stay ahead of the game, we've also created a reference guide about keeping control of the construction project schedule.